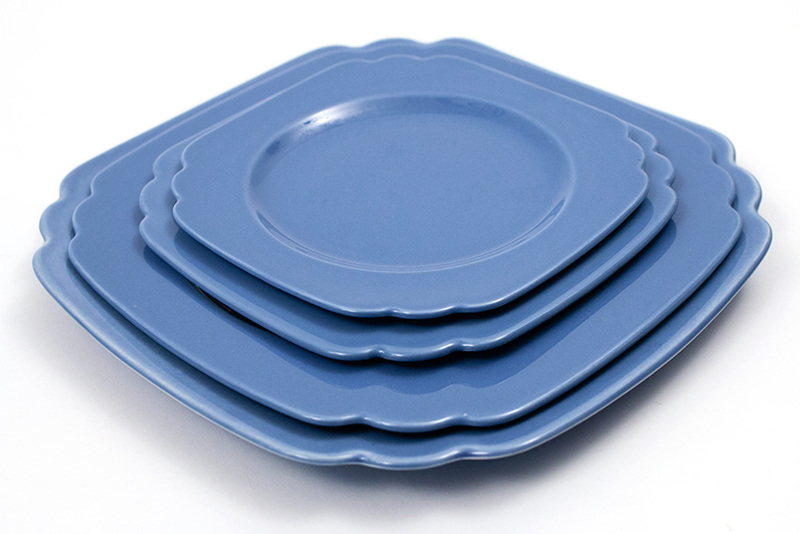 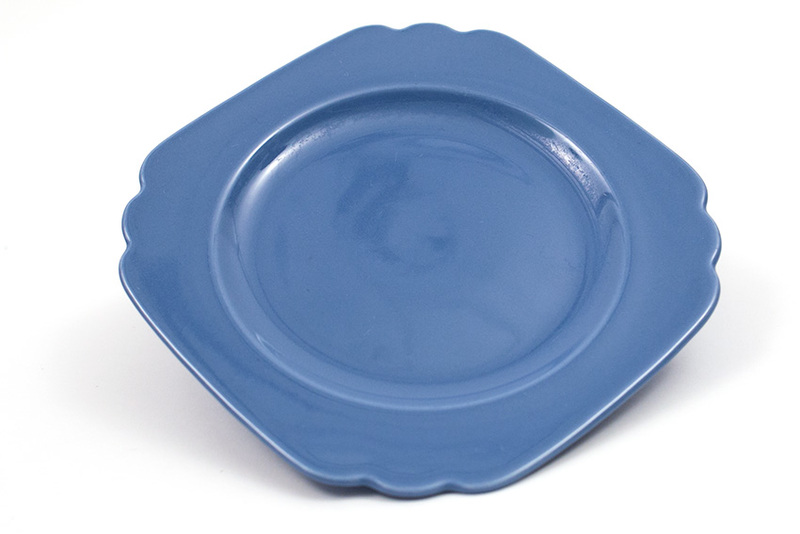 Circa 1936-1948: The plate is the backbone of a potteries line, and it is here on the Century shape plate that the simple, scalloped edges on all four corners harken to the art deco era. 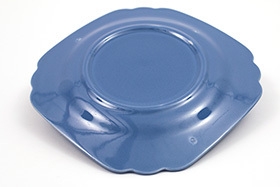 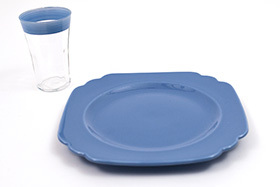 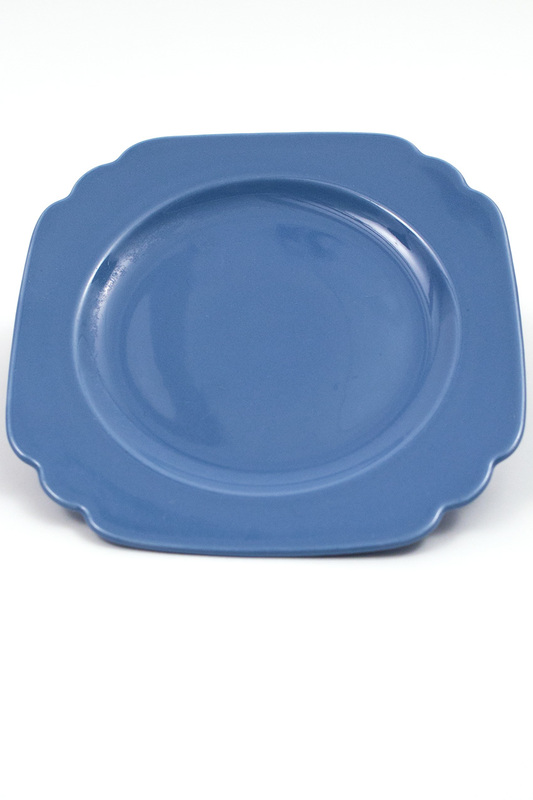 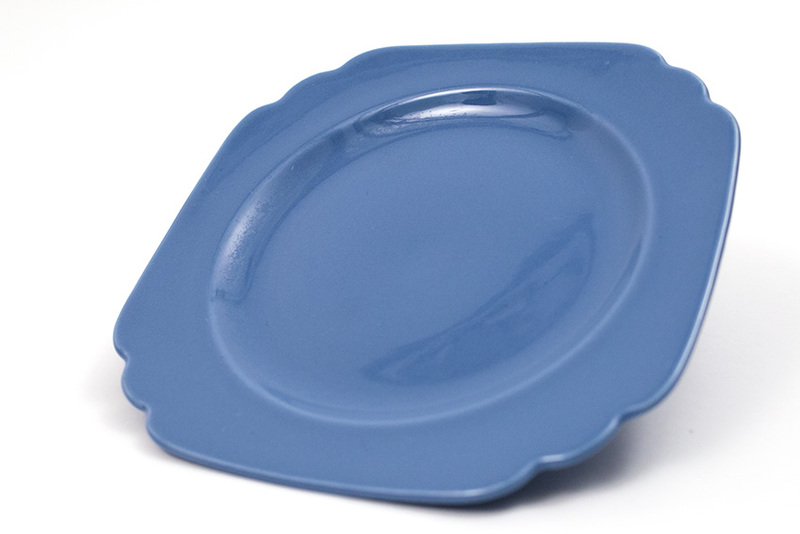 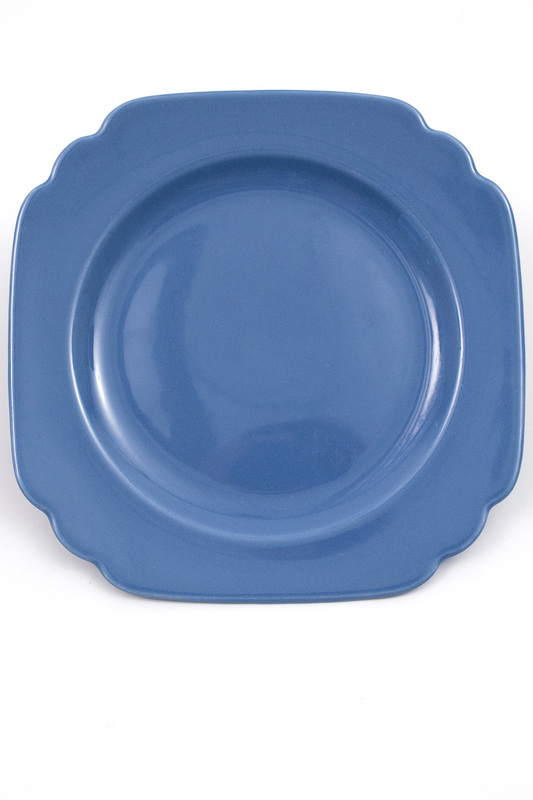 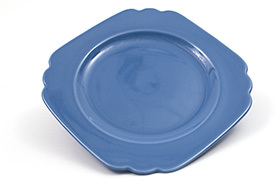 Dipped in the mauve blue glaze for the Riviera line, this bread and butter plate promises to be the beginning of a delightful setting. Measures 6 1/2" x 5/8".